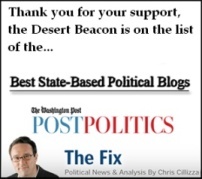 There’s one Nevada political race which hasn’t attracted as much limelight as might be justified. That would be the race for Secretary of State. The Secretary of State’s office has authority over elections and voting, and the implementation of Nevada election laws and regulations. The Nevada Republican Party has already put citizens on notice that it intends to flog the Election Integrity Mule all the way to the polls. Once the paperwork is filed and the voter is included among those eligible to vote in Nevada, when a person goes to the polls the burden of proof to refuse that individual a ballot is on the government — not the individual. It is up to the government to demonstrate you are not eligible to vote — it is not up to you to prove that you are. The second sentence doesn’t make much sense. If you have proof of citizenship and residency a few days before an election, wouldn’t you have it on election day? Should there be issues regarding either element there’s always recourse to the provisional ballot. The only thing that same day registration actually does is make voting easier and more convenient. 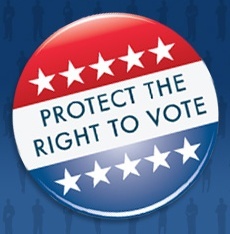 There was an effort during the 2011 legislative season to enact a voter photo ID law. [DB] Legislators Roberson, Hardy, Hansen, Woodbury, Stewart, and Hambrick were the Suppression Six. Among the bills they sponsored or supported were AB 327, AB 341, AB 425, AB 434, and SB 374. State Senator Barbara Cegavske added her own bill to the mix, AB 311 jointly sponsored by Hardy, Sherwood, Hansen, Munford, Gustavson, and Halseth. The bill would have eliminated all early voting in Nevada elections. Another bit of red, white, and blue fearmongering was addressed in 2011 by SB 178, sponsored by Gustavson, Hardy, McGinness, Roberson, Settelmeyer, Hansen, Ellison, Goedhart, Goicoechea, Hambrick, Kirner, and McArthur. The bill was a rather blatant bit of immigrant bashing, with whispers of “illegals” voting in the toxic mixture. During the 2013 session of the state legislature there were another spate of bills regarding photo ID statutes and other means of making voting less convenient and more restrictive. There was SB 63 (photo ID), SB 367 (repetition of immigrant bashing SB 178/2011) , AB 216 (Photo ID) sponsored by Sen. Gustavson, Hansen, Wheeler, Ellison, Hambrick, Fiore, P. Anderson, Grady, Livermore, and Stewart. AB 319 (Photo ID) sponsored by Stewart, Hambrick, Hansen, Duncan, Grady, Hardy, Hickey, Kirner, and Livermore. And what of making voting more convenient? During the 2013 legislative session, AB 440 was passed which would have extended the period for voter registration. The bill passed the Assembly on a 25-16 vote. [NVLeg] It passed the Nevada Senate on a 11-10 vote. The Nay votes came from Brower, Cegavske, Pete Goicoechea, Gustavson, Hammond, Hardy, Hutchison, Ben Kieckhefer, Roberson, and Settelmeyer. [NVLeg] The bill was vetoed by Governor Sandoval. There appear to be two outcomes the Nevada Republican Party would very much like to see in the upcoming 2014 elections. The first would be to control the State Senate, and the second might very well be to elect State Senator Barbara Cegavske as the new Secretary of State. Democrats in Nevada would be well advised to vote in 2014 as if their right to vote depended on it — given the platform, the previous legislative efforts, and the voting records of Nevada Republicans in the Legislature, Senator Barbara Cegavske in particular — it might.